Attempts to incorporate a key scientific study into global climate talks in Poland have failed. The IPCC report on the impacts of a temperature rise of 1.5C, had a significant impact when it was launched last October. 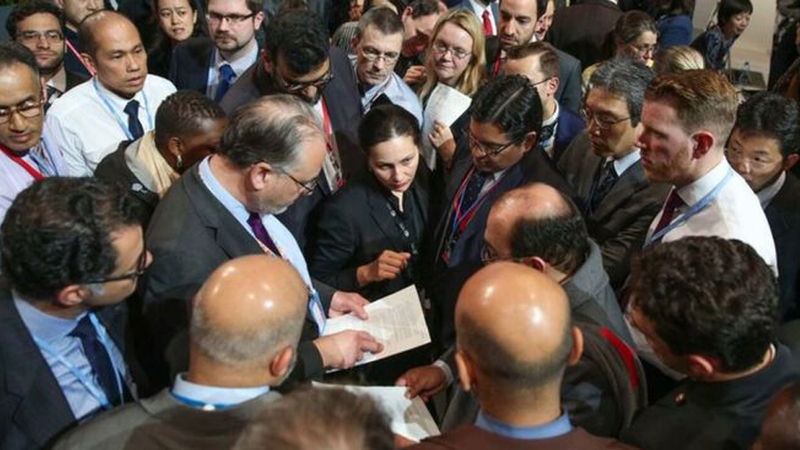 Scientists and many delegates in Poland were shocked as the US, Saudi Arabia, Russia and Kuwait objected to this meeting “welcoming” the report. It was the 2015 climate conference that had commissioned the landmark study. What does 1.5C mean in a warming world? The report said that the world is now completely off track, heading more towards 3C this century rather than 1.5C. Keeping to the preferred target would need “rapid, far-reaching and unprecedented changes in all aspects of society”. If warming was to be kept to 1.5C this century, then emissions of carbon dioxide would have to be reduced by 45% by 2030. The report, launched in Incheon in South Korea, had an immediate impact winning praise from politicians all over the world.